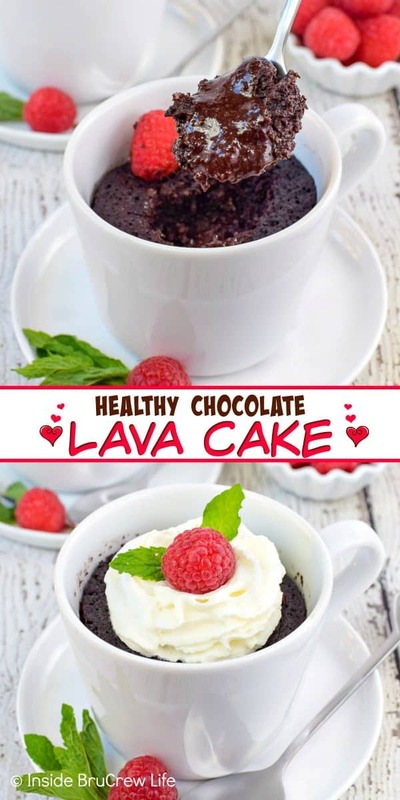 This easy one minute Healthy Chocolate Lava Cake is the perfect dessert for the chocolate lover in you. Make two and enjoy them on Valentine’s Day with your sweetheart. 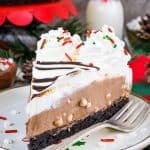 Since it is the month for all things chocolate, I had to find a way to make a delicious gooey chocolate dessert that was healthy too. 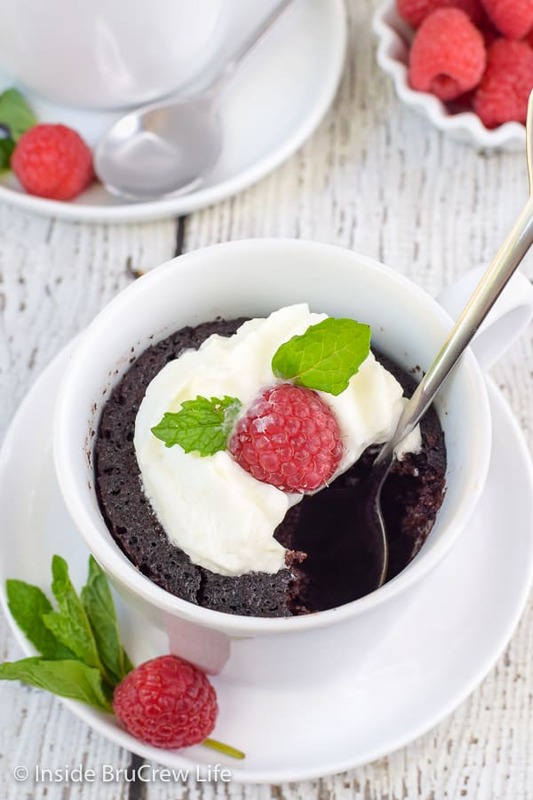 And let me tell you, this is one gooey chocolate mug cake that you are going to love. 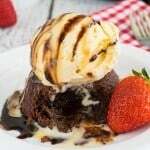 One of my favorite desserts of all time is the chocolate melting cake that you get onboard a Carnival cruise. In fact, if you ask our youngest son what his favorite dessert is he will say Homemade Brownies and lava cake. 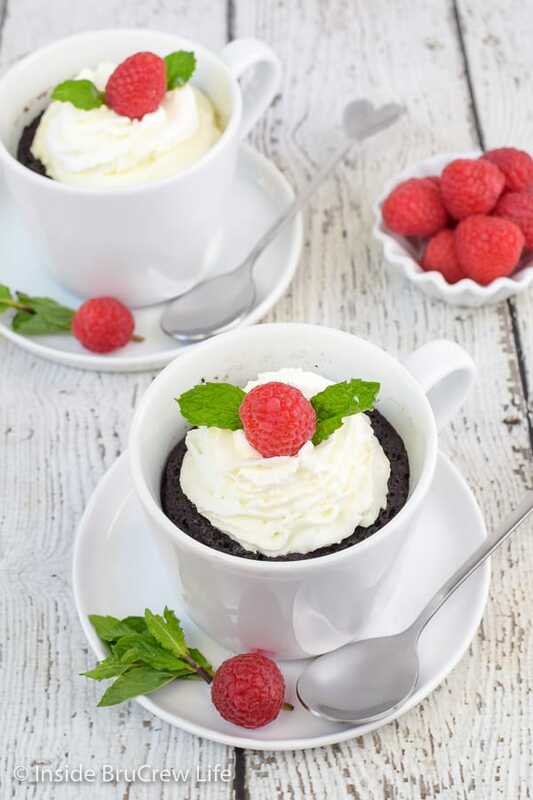 Now don’t get your hopes up thinking that this molten chocolate mug cake on your screen is just like the cruise dessert. It’s kind of close, but Carnival will win every time. I definitely don’t want you comparing them at all. 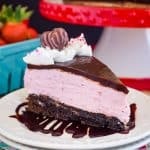 But if you are someone that is eating healthy and looking for a good low carb chocolate dessert or you just want a simple chocolate dessert in a minute, I have just the dessert for you!!! 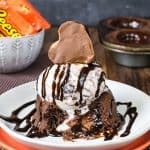 Now if you want all the calories, sugar, and carbs, and just want a delicious gooey dessert, I suggest making these Chocolate Lava Cakes or these Peanut Butter Cup Lava Cakes right away. 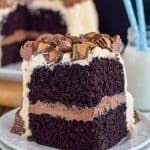 Over the years I have seen and tried so many different recipes for a simple chocolate cake in a mug. And almost every time I have been disappointed. The ones I have tried before have either been dry or rubbery. So honestly, when I started testing this easy chocolate dessert, I didn’t have high hopes. But I was determined to find a way to make a simple, one minute microwave lava cake that tasted amazing, so I kept playing with the ratios until I had success. The best part about this recipe is how stinking easy it is. 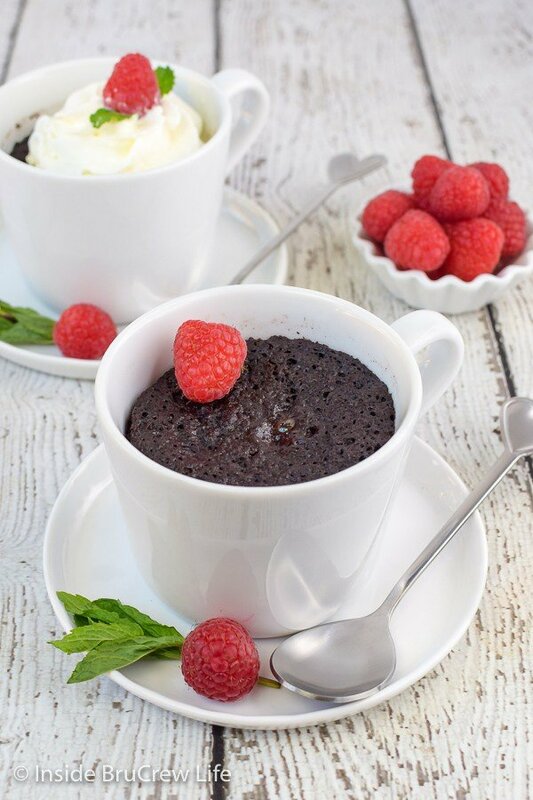 In less than 5 minutes, you can be digging your spoon into a hot gooey chocolate mug cake. The other good thing is that it only makes one cake. Usually when you make a chocolate cake, you have so much cake leftover, and it tempts you to eat a few more slivers. Stir together the almond flour, cocoa powder, stevia, baking powder, and salt in a bowl. Pour the coconut milk, egg yolk, vanilla, and coconut oil into the center and stir until mixed in. Add the mini chocolate chips and pour into a mug that has been sprayed with nonstick spray. Place the mug in the microwave and cook on high for 50-60 seconds. 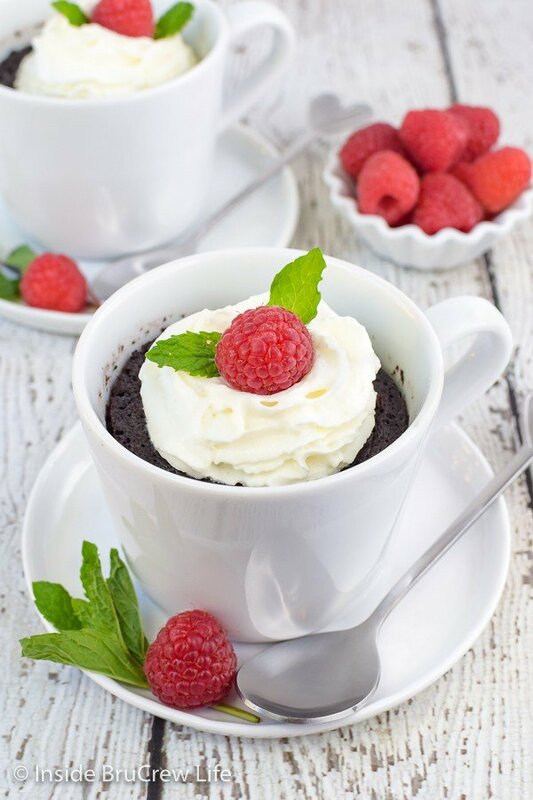 Let it sit for 1-2 minutes, then top with whipped cream and a fresh raspberry and get ready to dig into the best microwave lava cake!!! If you want to have less dirty dishes, stir your batter in the same mug that you cook it in. 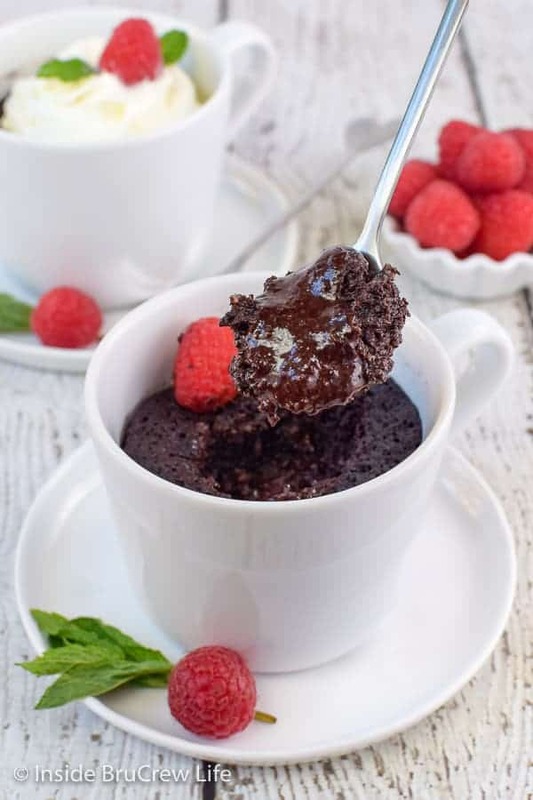 If you you want to cut all the sugar out of this Keto mug cake, use unsweetened chocolate chips. I have tried the Lily’s dark chocolate chips, and they are really good. Please remember that all microwaves are different, so yours may cook differently than mine. 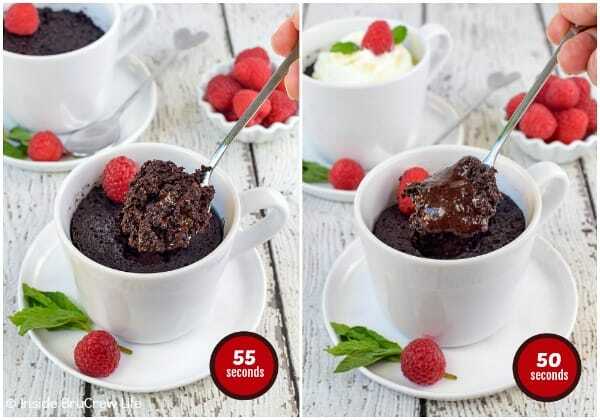 As you can see in these photos, if I cook a mug cake at 50 seconds it is awesome and gooey. If I cook the same mug cake for 55 seconds, it isn’t quite as gooey, but still really delicious. If you want to make a sugar free whipped cream, go ahead and beat heavy cream and stevia powder until thick and fluffy. Or you can use some canned Reddi Whip. 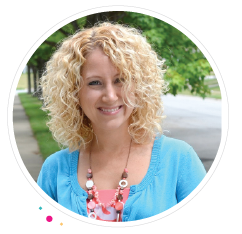 It’s easy and won’t ruin your low carb goals. Cookies for breakfast? Why yes you can. 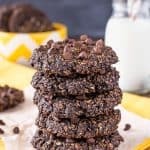 These Healthy Banana Chocolate Chip Breakfast Cookies are loaded with chocolate and are only 73 calories each. Oh, yeah! Keep your fridge stocked with these easy Low Carb Cherry Jello Parfaits. They are a great “sweet” snack to enjoy when you need something to tame the raging sugar monster. Enjoy a few of these little Skinny Peanut Butter Granola Bites when you need a quick pick me up in the afternoon. Perfect to keep you full until dinner! Make these little Healthy No Bake Mini Cheesecake Bites for a delicious and lighted up cheesecake dessert. These fruit topped Raspberry Orange Frozen Yogurt Bowls are a delicious and healthy recipe to enjoy for breakfast or an afternoon snack. 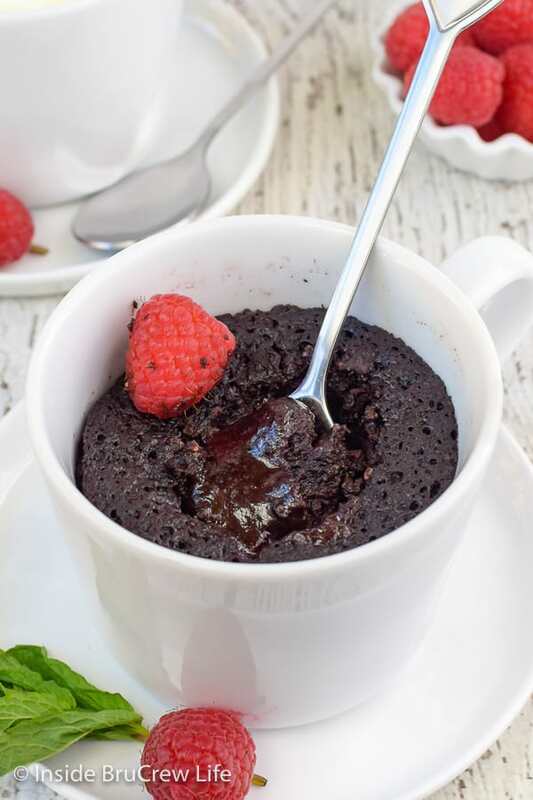 This easy one minute Healthy Chocolate Lava Cake is the perfect dessert for the chocolate lover in you. Make two and enjoy them on Valentine's Day with your sweetheart. Stir together the flour, cocoa powder, Stevia, baking powder, and salt in a bowl. Pour the milk, egg yolk, coconut oil, and vanilla into the bowl and mix until combined. Spray a mug with nonstick spray and pour the batter into it. Microwave for 50-60 seconds on high. All microwaves cook differently so you may need to test it a few times to find what time and texture you like the most. Let sit 1-2 minutes before eating. Top with 1-2 Tablespoons Reddiwhip and a fresh raspberry, if desired. Ahhh I love this cake! Microwaving something chocolate after the kids go to bed is one of my favorite self care things! I love this one is healthier too! This looks seriously delicious! I can’t believe what a difference 5 seconds in the microwave makes. I definitely want mine on the ooey gooey side! 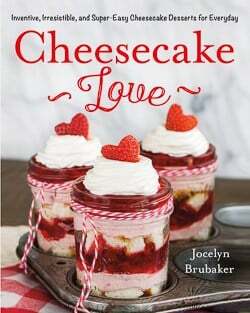 I am adding this to my Valentine must make list!!! This is a perfect treat!! This looks too delicious to be healthy! 🙂 YUM!